The last twenty years astronomers are searching for evidence to support a theory that claims that thousands of black holes surround supermassive black holes (SMBHs) at the centre of galaxies. Unfortunately, isolated, black holes are just black, they do not do anything and therefore looking for them is mostly a waste of time. But, occasionally, some of them capture a passing star and form a stellar binary. When this happens, X-ray bursts are emitted that although weak, are consistent and detectable. 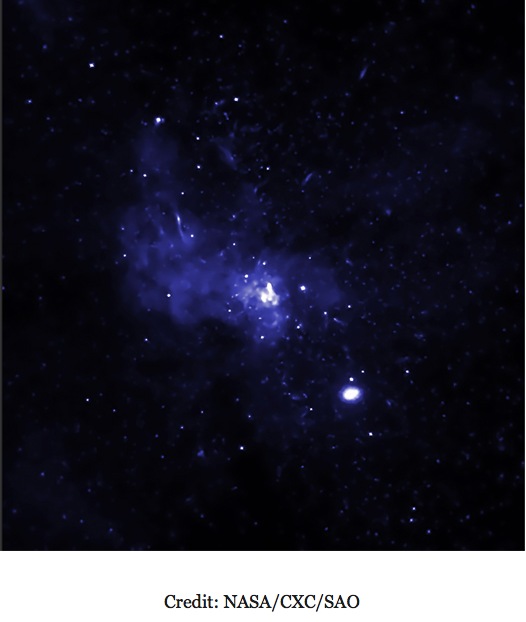 Scientists believe that there is a large concentration of these mated black holes in our Galactic centre. Detecting these binary black holes, astronomers can then infer the population of isolated black holes. A team of astrophysicists at the Columbia University discovered a dozen of black holes gathered around Sagittarius A (Sgr A*), the supermassive black in the centre of the Milky Way. To do that they used archival data from the Chandra X-ray Observatory. They found 12 black hole-low mass binaries within three light years of Sgr A*. Their analysis revealed that there must be about 300-500 such binary systems and about 10,000 isolated black holes in the area surrounding Sgr A*. These findings confirm the aforementioned theory for thousands of black holes around SMBHs!!! Furthermore, it allow us to predict how many gravitational wave events may be associated with them!